Snowsera formed in 2007 when four University of Illinois students banded together to create a musical formula self-described as melding "power drumming reminiscent of Dave Grohl playing on Ringo’s kit; a grooving bass that marries Michael Jackson and Nirvana; guitar lines that fuse British strumming with American riffs; forceful vocals that transcend traditional safe ranges with lyrical themes that are at once relatable and thought-provoking." 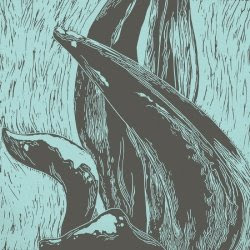 Embracing the trend of indie musicians simply wanting you to hear their music - not necessarily buy it - the band has put their new five track EP, "Fictions," up for free download, giving listeners the option to donate any amount of cash if they like what they hear. As unlikely as a mixture of Michael Jackson and Dave Grohl seems, "Fictions" manages to achieve it, or something very close to it. On high energy tracks such as "24," "I See" and "So Subtle," grooving bass mixes with forceful drums, guitar and distinctive, daring vocals for an ear-catching hybrid of smoothness and firepower. The slow-paced, Muse-esque "Darling" provides a nice break in the action, with thoughtful lyrics and an emphasis on Bill Arteaga's vocals. The overall result points to a promising band that deserves to be on the radar of any Chicago indie music fan. Catch Snowsera live on December 23 at Schubas and January 24 at Beat Kitchen. Just listened to them and that sucked. Sorry John, I gotta disagree, saw them at their show Tuesday and they were phenomenal. The EP is a lot more polished then they are live - the energy they have is incredible! I like the EP a lot more now that I've seen them live, a must see. I would disagree with David. I saw them at Metro sometime in February and they were a train wreck. Not impressed at all.